Can IC professionals change the game before the game changes them? This is the first in a six-part series of research performed by one of Internal Communications’ most recognizable veterans: Mike Klein. 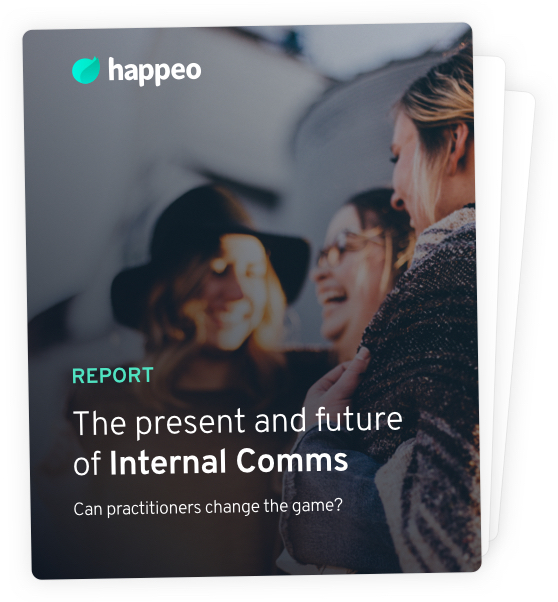 The world of Internal Communication is changing – particularly as it heads into massive upheaval in the areas it is meant to support and influence. Why? Because IC still has yet to overcome challenges and obstacles that have plagued it for at least two decades. The need for effective IC has never been greater, yet the profession still hasn’t positioned itself as capable of meeting that need. The clock is ticking. This is the first of a six part series. Get one edition every month. To see the second report click here. © 2019 - Happeo. All rights reserved.